In Southern California Potentilla glandulosa can often be found on North exposures and in areas that are moist during at least a portion of the year. More nurseries are coming around to using the new name Drymocallis glandulosa. The Sticky Cinquefoil does well in the shade of the Coast Live Oak, but can be found at higher elevations up to 12,000 feet. Potentilla glandulosa will perform quite well in full sun if given enough water. The Sticky Cinquefoil grows up to 2 feet tall and wide. The pale yellow flowers of Potentilla glandulosa are produced on a stalk that stands above the foliage in the mid to late Spring and persists well into the Summer at higher elevations. Potentilla glandulosa is often found on heavy soil. Finding natives that like this soil is rare enough to take note. 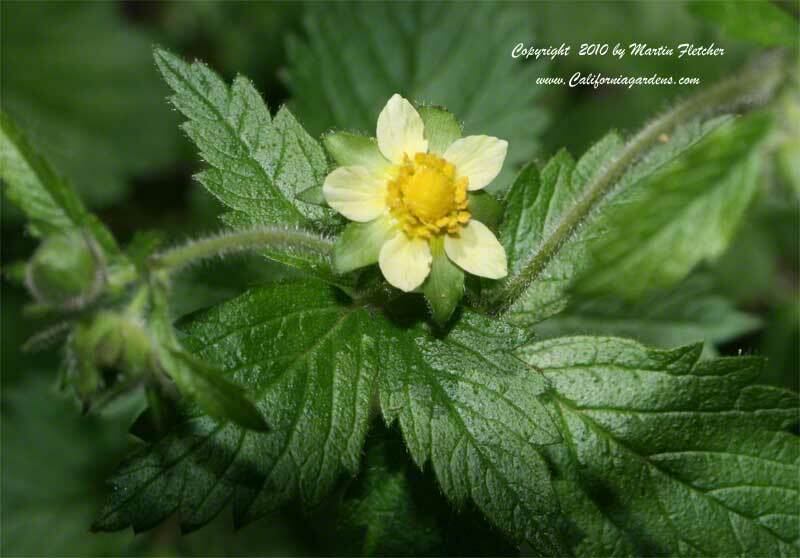 Yellow flower of Potentilla glandulosa - Sticky Cinquefoil. High resolution photos are part of our garden image collection.